"We went down into the silent garden. Dawn is the time when nothing breathes, the hour of silence. Everything is transfixed, only the light moves." Welcome to The Silent Garden. 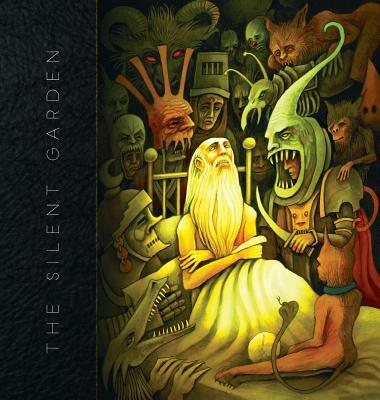 The Silent Garden is a peer-reviewed journal of esoteric fabulism, edited and curated by the Silent Garden Collective, a professional group of editors, writers, and scholars interested in exploring those liminal borderlands where darkness bends. The Collective's aim is to provide an annual journal of exceptional writing and art focussed on horror and the numinous, the fabulist, the uncanny, the weird, the gnostic, the avant-garde, the esoteric, and the dark interstices of the known and unknown world. Each volume of The Silent Garden will feature original, translated, and reprint fiction and non-fiction, including; film and book reviews; essays; opinion and commentary; as well as poetry and art. DELUXE SQUARE (8.5" X 8.5") HARDBACK, WITH INTERIOR COLOUR ILLUSTRATIONS, PRINTED ON 70LB. PAPER.